Reseachers in the US have 'spoofed' cars with wireless tire pressure monitoring systems, giving a false rading on the dashboard and potentally causing cars to stop. The reseachers at Rutgers University in New Jersey and the University of South Carolina also say that the new wireless technologies in cars may compromise a driver’s privacy and pose a security threat. Modern cars are increasingly equipped with wireless sensors and devices, such as systems that monitor air pressure inside tires and trigger dashboard warnings if the tire pressure drops, which is a vry useful feature. However, the Rutgers researchers have shown that these wireless signals can be intercepted 120 feet away from the car using a simple receiver despite the shielding provided by the metal car body. The Optical Internetworking Forum (OIF) is developing a specification for a micro-integrable tunable laser assembly (uITLA). This new form factor for tunable lasers is needed as the industry moves to an XFP form factor with reduced power dissipation. The new uITLA project will propose changes to the assembly electrical interfaces, optical specifications, and mechanical specifications and provide an alternative laser solution for ITLA customers contemplating the integration of a specific vendor “gold box” laser on the host PCB due to space constraints. The aim is to cut the real eastate used on the base plate area by half compared to today's ITLA-MSA-1.2 modules. Intel is merging its Digital Health group with GE Healthcare’s Home Health division to create a new healthcare technology company focused on telehealth and independent living. 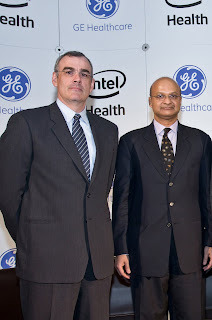 The new company will be owned equally by GE and Intel, with Louis Burns, currently vice president and general manager of Intel’s Digital Health Group, as CEO of the new company, and Omar Ishrak, senior vice president of GE and president and CEO, GE Healthcare Systems, as chairman. If it weren't for Burns taking over as CEO, this would look like Intel getting out of the healthcare business - instead, it's an acknowledgment that this is becoming a system level 'sell' that needs back end communications and sofware support as much as the innovative terminal designs that Intel had been selling previously. The deal builds on the GE-Intel healthcare alliance announced in April 2009 around independent living and chronic disease management. 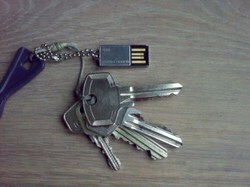 Both see technology as a way to bring more effective healthcare into millions of homes, and with the dramatic increase of people living with chronic conditions, and a global aging population, there is a need to find new models of healthcare delivery and extend care to the home and other residential settings. Once formed by the end of the year, the new company will develop and market products, services and technologies that promote healthy, independent living at home and in assisted living communities around the world. It will focus on three major segments: chronic disease management, independent living and assistive technologies. GE Healthcare and Intel will contribute assets in remote patient monitoring, independent living concepts and assistive technologies, such as the Intel Health Guide, Intel Reader and GE Healthcare’s QuietCare. Under the terms of the agreement, the new company will combine an experienced team, home health assets, technology development, products, sales and marketing. With the combined talent, capabilities and capital sharing, the new company will also provide the focus required to speed innovation and delivery of products to market. The new company will have headquarters in the greater Sacramento area of California.